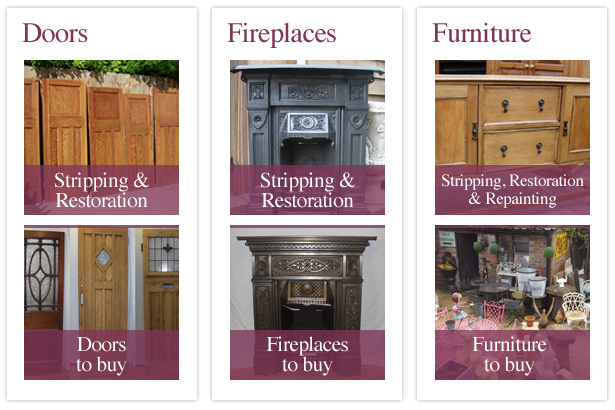 Stripping, Restoration & Sales of Antique Doors, Fireplaces & Furniture. Established 1980. Showroom conveniently situated just minutes from the M25 and M40. Herts Doorstripping cover London, Herts, Beds, Bucks and now Guildford, Surrey and offer a professional restoration and finishing service on a variety of wooden and cast iron items, allowing you to restore your home to the beauty of a bygone era. Doors - both internal & external, hard & soft woods. Same day external door service. Fireplaces & fire surrounds - spare parts can also be supplied include bars & back mantles. Also new tiles can be fitted. Furniture - any wooden furniture can be stripped to its original state. All of the items stripped at herts-doorstripping.co.uk are fully neutralised. Same day service offered for external doors. Please view our prices or contact us with any questions.